Resurection of the dead is already happening. There shall no longer be from there a youth or an old man who will not fill his days, for the youth who is one hundred years old shall die, and the sinner who is one hundred years old shall be cursed. Yeshayahu (who is called Novi haGeula - "prophet of redemption" in the Talmud )Issiah 65:20 (according to the Timeline of Moshiach and Redemption it appears this verse is supposed to be fulfilled this year 5765 (2004-05)like the other chapters have coresponded to the last 65 years click here to read more on this. A person who falls from his rung is called 'dead'. One of the principles of Jewish faith is belief in the resurrection of the dead. According to the Zohar – an early Kabbalistic text – the resurrection will take place forty years after the arrival of Moshiach. However, certain righteous individuals will arise with the coming of Moshiach. All the dead will be resurrected in the Land of Israel. (See the explanation in Chabad Chassidus about the fact that in time of Moshiach all the world will be considered "Land of Yisrael" see also Rashi on Rashi on Yeshaiah 58 verse 14 . As an aside : a question for those of the readers who know gematria why is this idea expressed specifficly in the chapter Yeshayahu chapter 58 verse 14 ? Whoever provides the the best answer gets a free CD-ROM of Moshiach related videos and music plus a check for $18. PPS. To read more about this way to understand techia also look in Talmud Sanhedrin especialy it might be easier for you to use new English Artsroll edition look on pages 96 thru 101 if I remember correctly it talks about days of Moshiach being 40 years than resurection and some of the comentaries explain it similar to the way I explain it above. PPS. 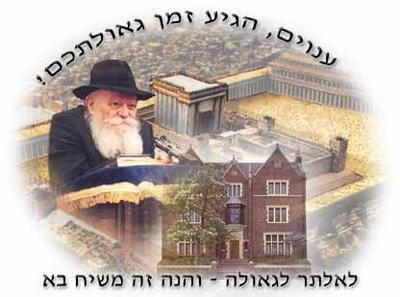 For an in deepth exploration of the greatness of the Rebbe King Moshiach and the era of redemption we are living in based on sources in Tanach, Talmud, Midrash , Rambam, the Zohar and Chassidic Philosophy by Proffesor. Shimon Silman Click here . PPPS. Watch beautiful, exciting and informative "Deeper Reality" Video (learn about the purpose of creation of the world ) click here now! Click here to watch : World Peace According to the 7 Laws of Noah" video. An amazing Sci-Fi like presentation showing how the world might look in the future.And explaining the 7 Universal Laws of Noah - the key to world peace. PPPPS. Watch the The "Uncensored" revelation of the Rebbe King Moshiach - "Kol Mevaser - Higia Zman Geulaschem"-Voice proclaims -The Time of your redemption has Arived documentary video click here.